Our annual Walk-Run-Fun helps us to empower women and men in our communities to make life-affirming decisions when facing an unplanned pregnancy. We offer alternatives to abortion, support, education, and material assistance - ALL with the hope and love of Jesus Christ! Register as an Individual or create a Fundraising TEAM! 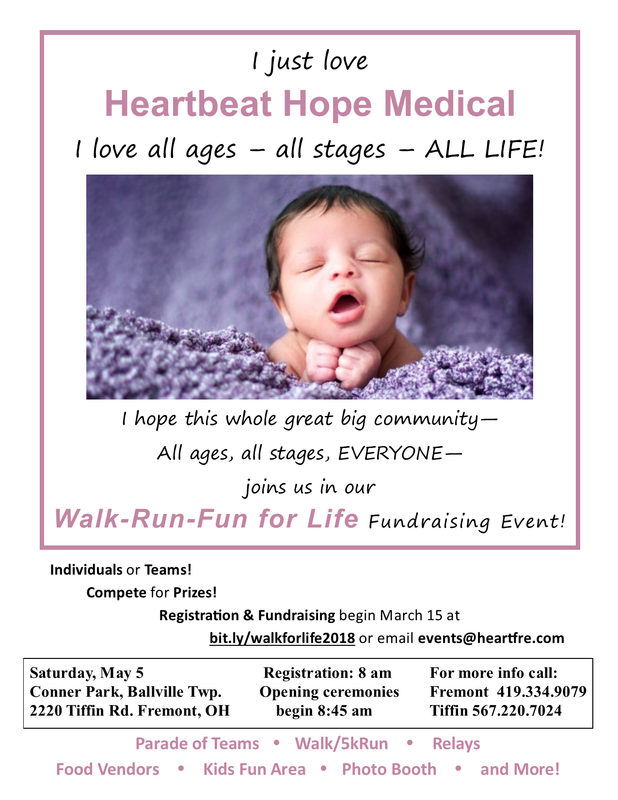 We'd love to tell you more about our 2018 Walk/Run for Life! !